Q. Reviewing the successful conclusion of CHOGM 2018 held, in London, I found that the focus and emphasis was on the renewed importance of the Commonwealth. Was this mainly because the UK sees the Commonwealth playing a pivotal role for the UK, post-Brexit? I think it was because, for the two years before, we have been looking at what joined us. We are an extraordinary group of countries - 53 countries, very different religions, very different economic backgrounds, very different cultures, very different people - but joined by one language, one Commonwealth common law tradition, the similar Parliamentary processes and institutions, and this is something which we recognised was extraordinarily valuable. In 2015, which is before I came, under the last Secretary-General the question was asked: look here, we have this family, we love each other, and we respect each other, but what other value? Is there any empirical data which says this translates into something more tangible? In 2015, they did a trade review, and in that trade review, they said because of our history and because of our similarity, in fact it is 19% cheaper, better, and faster for us to trade with each other. So, we have this 19% advantage. We have really not done anything with it. It is like finding that your grandmother leaves you a sock. At the bottom of the sock, you find a stone, and when you take the stone out and wash it, you find it is a diamond. You had it all the time, but you didn’t value it. Now you are thinking, my Lord, this is one of the most valuable things I have. And that’s what people did with the Commonwealth. It is like waking up. The Queen once called the Commonwealth the original World Wide Web. It was there across the globe before we started. So, I think lots of people think that it will be more important, because as the United Kingdom decides to remove from the European Union, then of course the Commonwealth becomes hugely important. Q. Is the Commonwealth viewed as the one to replace the European Union? I think it is not a case of replacing, because if you like there was before a twin track system. You had 500 million people in the European Union, a very integrated, close association of countries, and then you had 2.4 billion people in the Commonwealth. The UK always had both. But however, because they are withdrawing from the closeness of the relationship with the European Union, it gives a different opportunity for a different emphasis for the Commonwealth. But the Commonwealth is important to itself as well. Q. On this visit, which is your first to Sri Lanka, you have had extensive talks with the Government. Could you elaborate on the projects discussed, the ones that you are following up on, and what transpired at CHOGM 2018, in particular? You know that one of the big things that came out of 2018 CHOGM in London was the Blue Charter. Because climate change is of pivotal importance, particularly to our small developing States, where climate poses a major threat. You know Sri Lanka has felt a lash of climate change. It started with the Tsunami, and that was when everyone understood that mangroves that have been either removed or eroded were of pivotal importance as a safeguard for our shores. Sri Lanka has wonderfully stood up to say that it will lead on mangroves on the Blue Charter. And the Blue Charter really speaks of all our values, the values that are contained in the Charter which binds us in 2013, which has the values and the principles of our Commonwealth. We are now inculcating those same values into how we will husband and look after our oceans. Because if we don’t look after the ocean, then the climatic changes we are seeing on the land are going to increase. If you look at what is happening with hurricanes, the recent hurricanes are getting worse. In the past, they would dissipate because the cooling nature of the ocean would take their heat out of the hurricanes. Now the reverse is happening: as the ocean is warming, the hurricanes are getting bigger and bigger and faster and much more dangerous. That’s what we saw last year, when firstly when it was in Sierra Leone, which started with the mud slides. Look what happened then to Sri Lanka. Terrible flooding in the North, while the South was bone dry. We had drought. Sri Lanka is now trying to develop rehabilitation of the Southern areas. To take a restorative approach to development is very much in line with what the rest of the Commonwealth together with Sri Lanka said: we need a regenerative approach to development and to climate. So what Sri Lanka is doing in restoring the ancient tanks in the South, bringing water from the flooded areas of the North, piping it through to restock these ancient tanks, and to bring back life to the Southern part of Sri Lanka, is incredibly important. And I think that’s an example that others are going to look at and want to emulate. So, I think Sri Lankans need to be incredibly proud that the pain that they suffered, both for the tsunami and for the floods, is now going to be the inspiration that will help not only Sri Lanka heal and regenerate, but will help the rest of us start to understand what we must do in order to rebalance. Q. What are your observations upon meeting the Head of the Human Rights Commission? 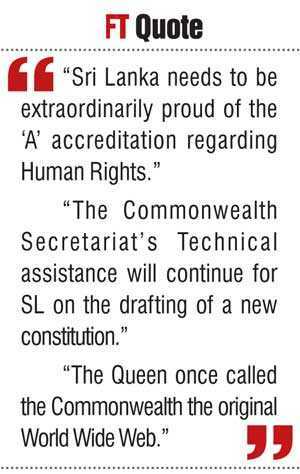 With the Commonwealth Secretariat having been involved in giving assistance to Sri Lanka’s Human Rights Commission, what progress did you observe that they had made since 2015? I was extremely proud to go and speak to your Chair of the Human Rights Commission, who in her three years - I think she is the first woman to play that role - and it was impressive to see what she and her colleagues have done. In May of this year, the Commission had restored to itself the ‘A’ Accreditation in relation to Human Rights, which is an amazing thing for them to have achieved. I think Sri Lanka needs to be extraordinarily proud of that achievement, and we in the Secretariat were pleased to be able to play our part in helping to give support and technical assistance to make the difference. Q. Speaking of technical assistance, what is the status of the Commonwealth Secretariat’s technical assistance being given to the drafting of a new Constitution? Indeed, our Secretariat continues to give technical assistance in relation to the new Constitution. I was really interested to have this opportunity to speak to the Speaker of the House, and the Secretary General of Parliament, and understand that there has been material advancement in terms of the new Constitution, and that all the parties have agreed on a number of factors. There is still one outstanding factor in terms of the balance and proportionality, but I understand if all parties would agree, there would be a realistic prospect of having a draft new Constitution by the beginning of next year. Which would be something, I know, from all sides: all parties have said we need a new Constitution, and we want that Constitution to be fair, to be proportionate, to be inclusive, and to really represent the voice of all Sri Lankans. So, I came away feeling hopeful. I know it is about political will, but all of our leaders I know want peace. Sri Lanka wants reconciliation for Sri Lanka. I think for all of us, it’s a case of choice. If we want something bad enough, we will work for it. I am hoping that every leader in Sri Lanka wants peace and reconciliation badly enough to work for it. Q. There are 4 Forums held alongside of CHOGM - People’s Forum, Women’s Forum, Youth Forum and Business Forum, from which an Outcomes Document of all these Forums are given to the Commonwealth Heads of Govt. for action. How effective is the implementation of such a document proposed for action, given the fact that there is limited power of the Commonwealth to impose on Governments to implement the same? What we have seen is that there is a huge appetite for partnership. So, for example, The Blue Charter is going to be delivered through partnership, and we have Action Teams. The connectivity agenda is incredibly important to all of us, because if you look at our young people in particular, 60% of the Commonwealth is believed to be under the age of 30, so employability, making sure that our children have the right jobs and opportunities and skill sets, to enable them to meet the challenges of the 21st & 22nd century, is essential to us. That commonality of challenge is something that the Commonwealth as a family think, if we come together, we can make it easier, cheaper, faster, and better if we collaborate, so we are looking at how to collaborate. And part of that is also saying: how do we make sure women’s voices are heard more clearly? Because we know when we galvanise our women to take their proper role in business, in governance, in organising our general fabric of our communities, we do better. And the world trade shows that, so does the World Bank. Q. It was observed that there were less voices at the CHOGM’s Women’s Forum 2018 in London, in comparison to the first ever CHOGM’s Women’s Forum held in Malta in 2015? What could be the reason? Yes, one of the things is we had the benefits and burdens. Because the drive was to have women in every single Forum, so if you went to the Business Forum, you will see the women’s issues were in the Business Forum, the women’s issues were in the Youth Forum, also in the civil society, as well as the Women’s Forum as well. The overall contribution of women was better, but I believe we have to do more. Interestingly, we introduced for the first time the ‘Super Tuesday’, where all the Forums came together on one platform on one day. That was because when I went to the 2015 Forum, I met a young woman who wanted to attend all four Forums, in Malta, remember they were all in different places. So, we introduced this concept of this network of networks, which is an opportunity for us to thicken the soup. Every CHOGM you learn something, and you improve on it. Now we have the next CHOGM in Rwanda in 2020 - it is a fantastic place where we will take the learning. Rwanda’s Parliament comprises of 64% women. Q. What are the new plans to improve CHOGM, having studied the last? We had some powerful outcomes from the Youth Forums. We want to do more to increase the power and involvement of youth. We want to do more, with Prince Harry as a Youth Ambassador and Meghan as well for their input. There is a question about having a Youth CHOGM. In November, Commonwealth Young People’s Youth City will be launched in Malaysia. We are having a Women’s Ministers meeting in Kenya in 2019. We have it on the agenda to hold the Law Ministers’ meeting in Sri Lanka next year, plus Finance Ministers’ meetings. Using sports, Community Cricket Cup for young men up to the age of 19, and Masters for those of the age of over 50’s, are all been envisaged. Rather than mere words, we need to have outcomes and action. We are monitoring now all the things we did from Samoa to this year’s CHOGM, and we can see clearly what concrete differences we can make. 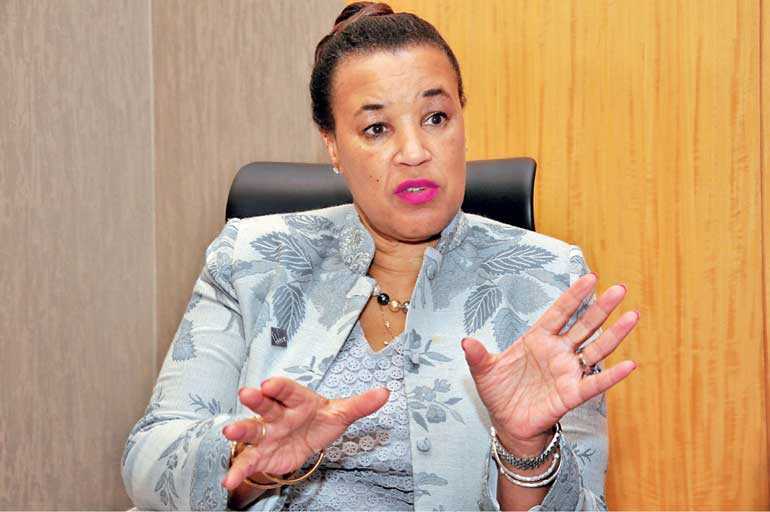 On 27 November 2015, in Malta, the Commonwealth Heads of Government appointed The Rt Hon Patricia Scotland QC of Dominica as the sixth Commonwealth Secretary-General. She assumed office on 1 April, 2016 and is the first woman to hold the post. Patricia Janet Scotland was born on 19 August 1955 in Dominica. Moved to the UK with her family, growing up in East London. Trained as a lawyer and became the first black woman to be appointed a Queen’s Counsel in 1991. At 35 she was also the youngest woman ever to be made a QC. The first black woman to be appointed Deputy High Court Judge, Recorder and Master of Middle Temple. 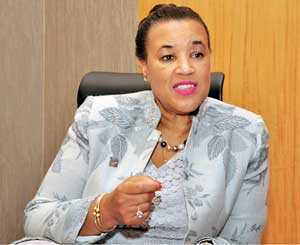 Joined the House of Lords in 1997 as Baroness Scotland of Asthal going on to serve as a minister in the Foreign Office, Home Office and Lord Chancellor’s Department. Undertook major reform of the criminal justice system, including the introduction of the Domestic Violence Crime and Victims Act. Appointed Attorney General in 2007 – the first women to hold the post since it was created in 1315. Founded the Eliminate Domestic Violence Global Foundation in 2011. Appointed Prime Ministerial Trade Envoy to South Africa in 2012. Elected as the Alderman of Bishopsgate in the City of London in 2014. Other offices include: Chancellor of the University of Greenwich, Patron of the Corporate Alliance Against Domestic Violence, Patron of Lifeline (Trinidad & Tobago) and the Caribbean Science Foundation.